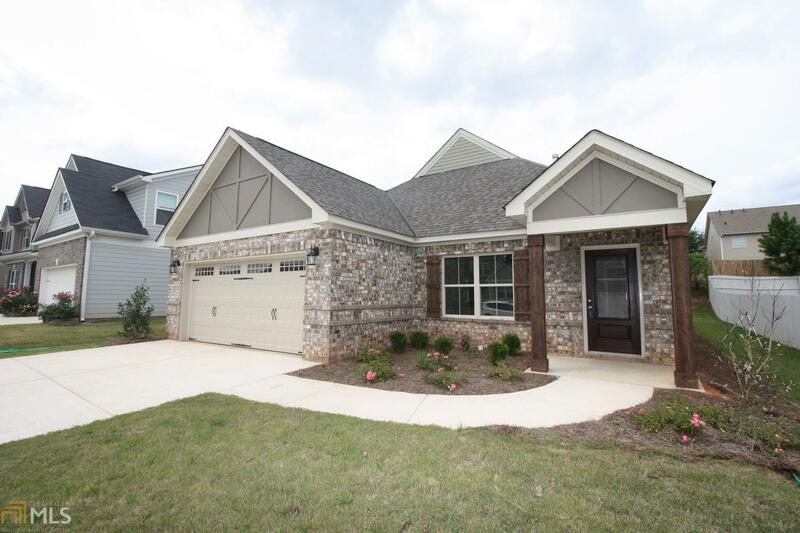 MOVE-IN READY HOME IN DESIRABLE SWIM/TENNIS COMMUNITY! The "Sherfield H" is a 4-sided brick home with an open floor plan that is designed to fit any lifestyle. This 4 bedroom, 3 bathroom home features a large bonus room on the second level w/ attached full bath to be used as an additional bedroom. This home features a dynamic great room with vaulted beamed ceilings, cook&apos;s kitchen granite countertops, SS appliances, and adjacent dining room. Spacious master suite features a huge walk-in closet and a master bath with garden/soaking tub, separate tiled shower, and double vanities. Subdivision amenities include community clubhouse, two lighted tennis courts, Olympic-sized pool, and community access to lake. Directions: From I-85s, Take Exit 14, Turn Left Onto Hwy 27 (Hamilton Road), Turn Left Onto Bryant Lake Blvd, Turn Right Onto Mere Way, Turn Left Onto Linman Dr, Turn Right Onto Lago Ct, Home Is On The Left.